There can be changes which are likely to happen in the Canada PR points calculator applicable for the Express entry system. Talking about the last year express entry draws, the score till the March month in that year was 434. This was the score in the express entry draw which happened on March 1. The Canada PR points calculator is going to tilt in the favour of those candidates who have been in the express entry pool for more time as compared to the competing candidates with the same express entry score. In the last draw of 2018, which was in the news the candidates who had filed their acceptance for ITA before 23rd February, were selected. Since the government has announced higher targets to come into the country through the Canada express entry program, in 2018, the CRS score will have to decrease in order that the government is able to complete the targets. The government has already declared that in the year 2018, it will get 3,10,000 immigrants to come to Canada through the express entry system. The government has also modified the express entry structure to make sure candidates with better French knowledge are rewarded more. Under the new changes which have been made, the Canada PR points calculator makes sure that candidates with French proficiency to NCLC 7, get 30 points. Also, the candidates who have relatives residing in this country also get more points. Talking about the concerned changes, the CRS has also been tweaked to make sure candidates don’t suffer because they don’t have a job. It’s true that it’s not compulsory for candidates to have the necessary job offer which was required earlier for Canada immigration. The points for a job as per the Canada immigration rules have drastically gone down from 600 to 200 and even 50. These points hence make sure that the candidates without a job offer in Canada have almost similar chances of getting invited as compared to those who don’t have it. This reduction in the number of points happened in November 2016. Another change that has been introduced is the acceptance of those jobs which don’t require an LMIA to become acceptable under the express entry. Prior to that, only those candidates were eligible to immigrate to Canada, those who had a job offer and it was compulsory with the job to get a Labor market impact assessment. There are many jobs for which an LMIA is not needed and are still valid to get points under the new express entry rules. Such jobs are those required for boosting the prosperity of the Canadian economy.So, any employees who are getting hired for those kinds of projects which provide “significant benefit” to the Canadian economy don’t need to get LMIA for their jobs. This category includes employees who are sent to Canada as a part of the company transfers. If their jobs are unique in terms of the skills required, they are not supposed to get the LMIA done.so, the Canada PR points calculator has become more feasible for immigration purposes now. 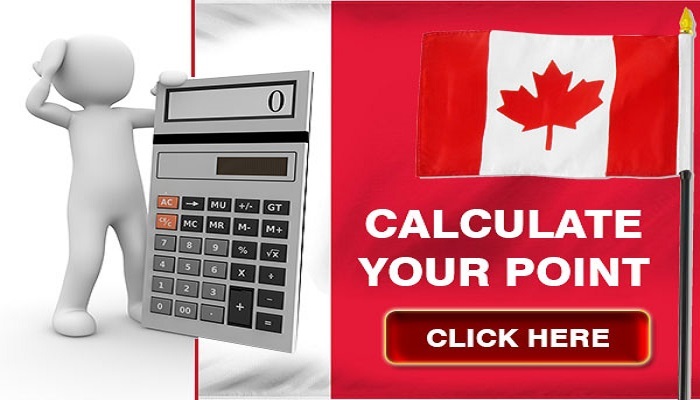 Visa Services Canada PR points calculator, Express Entry. permalink.